Brutalism is a name frequently used in connection with an architectural trend of the mid-20th century, whose cliché was the rough exposed concrete surfaces. Brutalist architecture was adopted by countless architects and flourished throughout the world between the 1950’s and the 1970’s. This trend produced a wide range of buildings, several of them displaying outstanding inventiveness and a high level of artistic quality that deserve better recognition and appraisal. Originally grounded in the seminal contribution of post-1945 Le Corbusier’s works, Brutalist architecture consolidated as a trend in the following decades. As a widely disseminated architectural attitude it manifested everywhere without a central geographical focus. Nevertheless, its proper contribution to mid- 20th century Modern Architecture is still widely unrecognized by the canonical architectural historiography. It is due time for a serious reexamination of the past prejudice and biased misinformation that, until recently, overloaded the appreciation of its contribution. 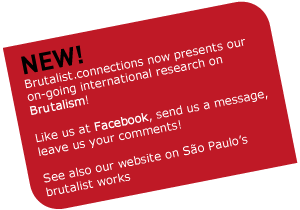 This site aims to contribute to the acknowledgment of Brutalist Architecture, considered in a broader sense and accepted as a significant moment of Modern Architecture. 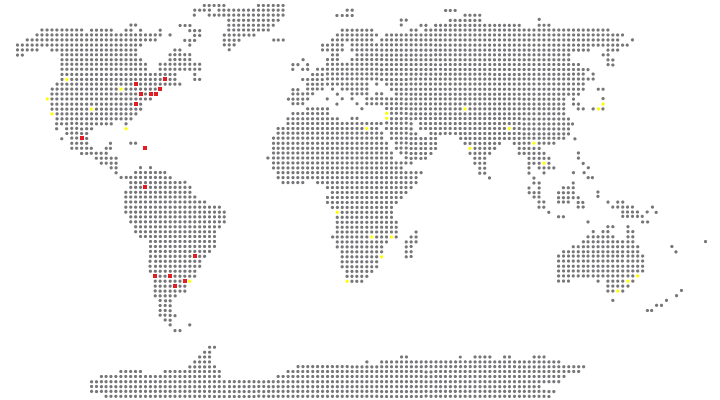 It is based on a comprehensive academic research study of Brutalist architecture works, situated in several cities in different continents, displaying its ongoing results. Its focus lies on architectural works, conceptual debates and the diversity of international contributions to the Brutalist trend.